These volcanic adventures is getting more and more exciting as we go from one volcano to another. 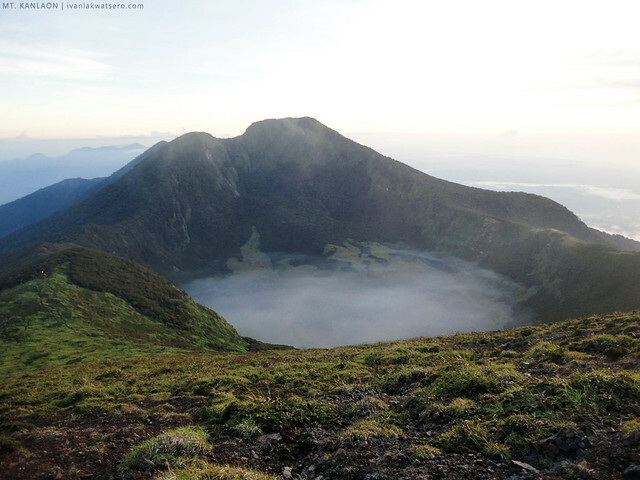 Just a week after climbing Bulusan Volcano in Sorsogon, me and my friends flew to Negros Island to once again experience the geological wonders of a volcano. Mt. 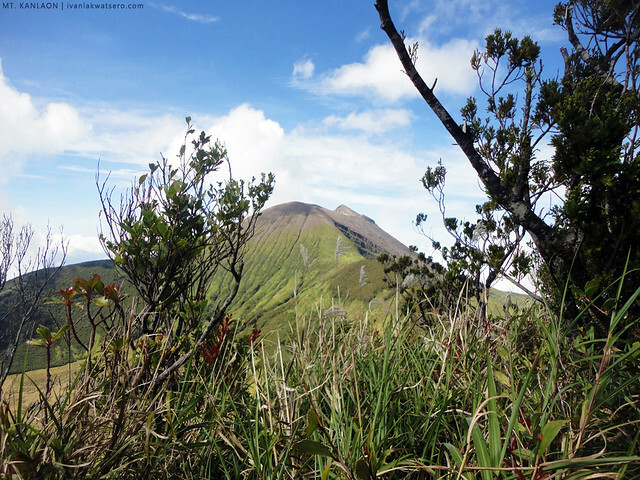 Kanlaon, an active volcano in the Island of Negros and the highest in Visayas, was our destination—my 40th mountain, and 3rd in my volcano quest. 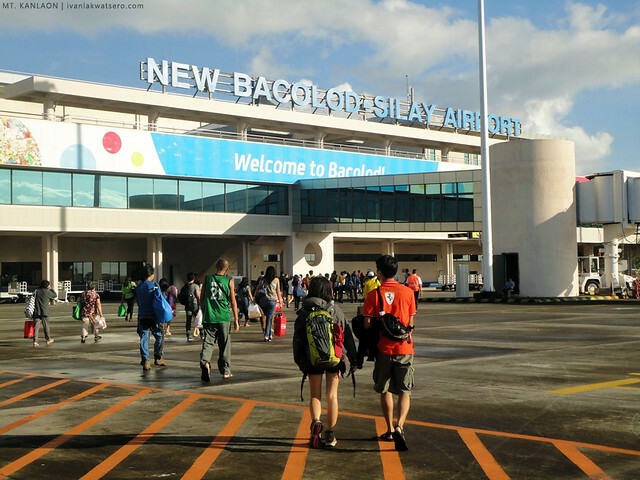 Great excitement we felt the moment we landed in New Bacolod-Silay Airport. As if the connection between us and the mountain we were about to climb has finally been established. Parang may electrifying connection talaga. Maybe because we already knew that in a few more hours, we will be setting foot at another geologic marvel, which is Mt. Kanlaon. Being a first timer in Bacolod-Silay, (actually in the whole province of Negros Occidental) I was clueless which ride to take or which way to go. Thankfully, my friends are still quite familiar with the place as they have already done (or attempted) the same climb just over a year ago (read the account of their unfortunately aborted Mt. 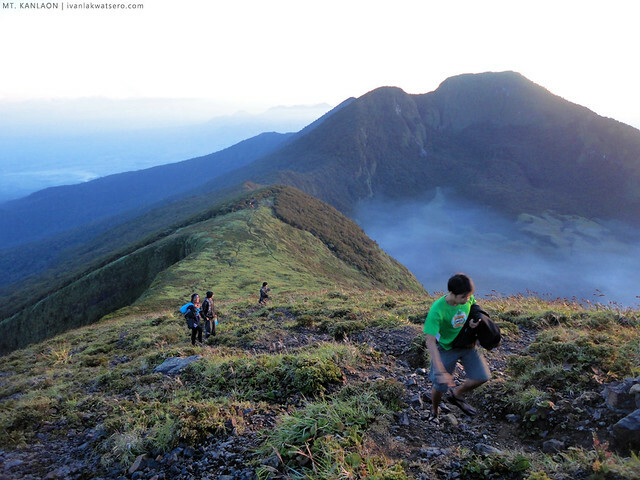 Kanlaon Climb in this link). 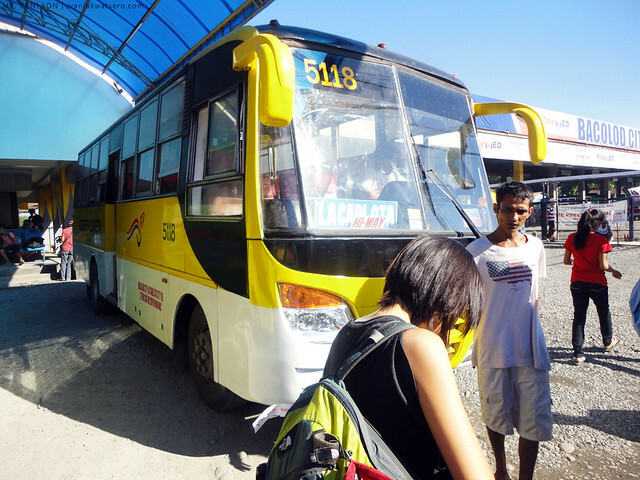 Right away, we took a shuttle to the city center and then hopped into a bus bound for La Carlota City. Riding the bus down to La Carlota City took only less than 2 hours. 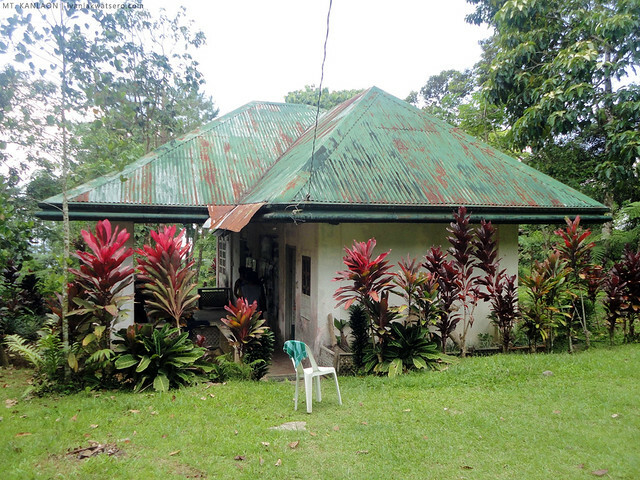 Mabilis lang and it offers views of the vast sugarcane fields of Negros. At around 9AM, we reached La Carlota and there we shopped for provisions at the market before taking the 11AM jeepney to Guintubdan, the jump off for our Mt. 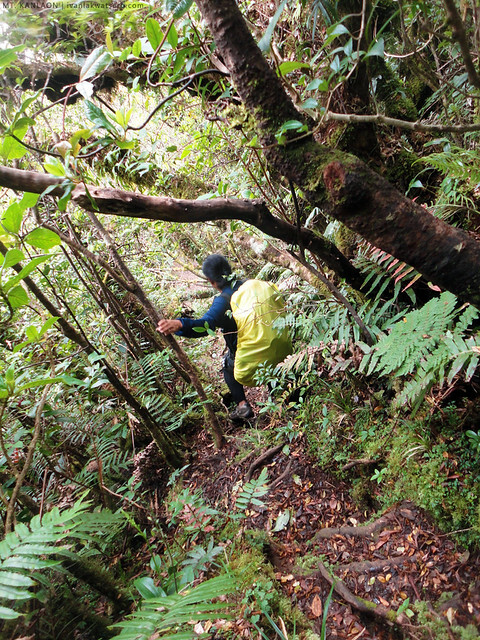 Kanlaon traverse hike. When arrived at Brgy. Guintubdan, we were happily welcomed by our guides, who apparently were already expecting us (actually, he's the same person that guided Tramping Philippines during their stormy attempt on Mt. Kanlaon). 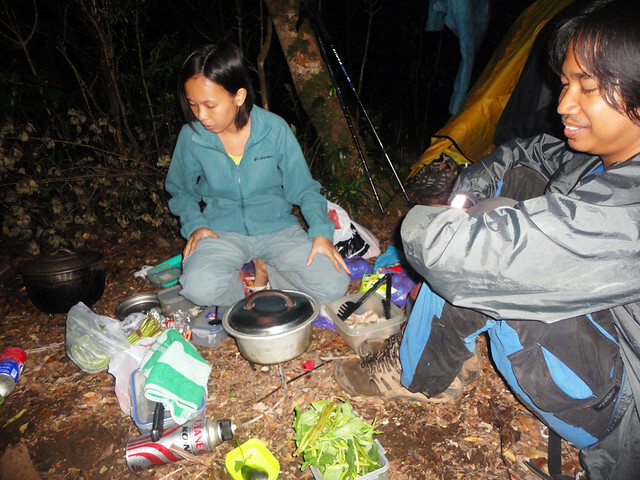 Thanks again to my friend, master planner Agnes for making the necessary arrangements with DENR (climb permit and securing guides) about two months prior to our climb. Since we don't feel like rushing things to Mt. Kanlaon, we allotted our first day to preparation and body conditioning. Wala munang intense hike. Climb proper should begin on second day. So instead of doing nothing after settling down at Guintubdan ranger station where we plan to spend our night, our guide excitedly brought us to the twin waterfalls nearby. 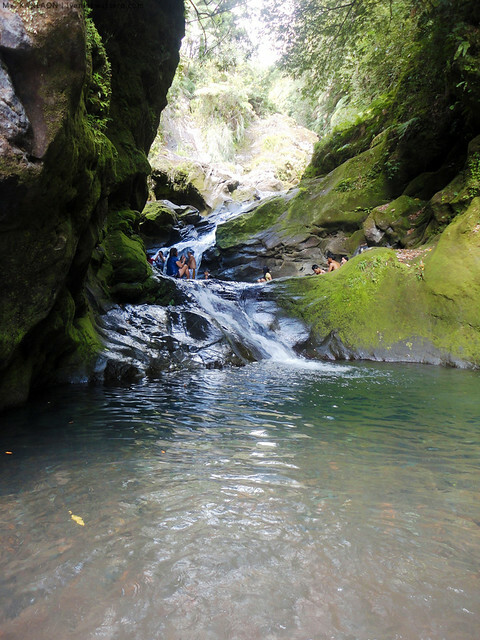 The waterfalls known locally as Busay Kapid, (in English, it literally means Twin Falls) was not too far from the village, just about 30 minutes walk off the road. We decisively went there to kill our time too plenty. 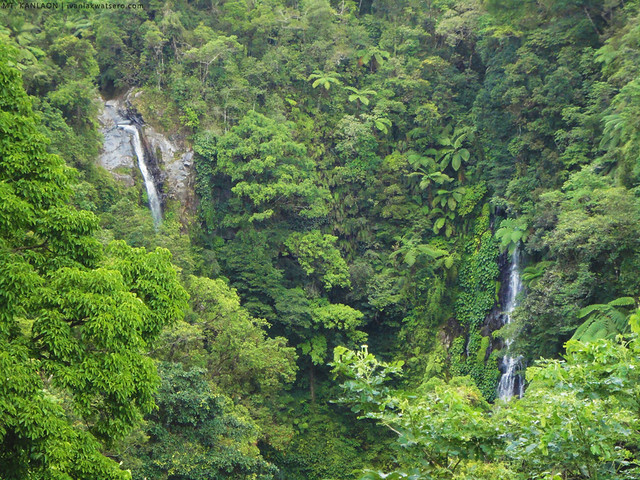 Busay Kapid (Twin Falls) as seen from the view deck. sabi ng guide pwede daw puntahan yung mismong falls pero mahirap, kaya dun na lang daw sa source kami pupunta. We went swimming, it was so damn cold. We stayed at the waterfalls for like an hour only. When it started to get chilly, we decided to leave the place and return to the comfort of the ranger station. Before we left, we jokingly said, "wow nauna pa yung side trip natin kesa sa main destination." at the ranger station, quite chaotic! Time moved so slow while we wait for day 1 to end. Perhaps our excitement for Mt. Kanlaon makes us feel that way. Oh well, konting hintay na lang aakyat na kami. We woke up the following day with one great goal—take a hike at Mt. Kanlaon via Guintubdan trail. 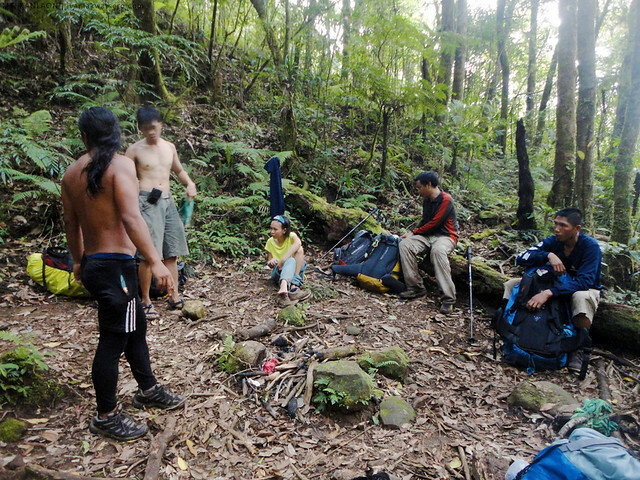 We started at 07:30 AM and reached Pagatpat Campsite at around 2 in the afternoon. A total of 7 hours on the trail. my friends Dane and Agnes with Kuya Ronald, our guide. Register first before heading up to the mountain. 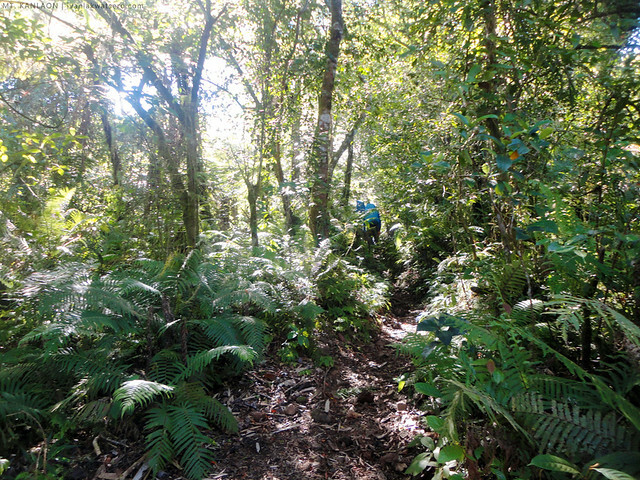 During our trek, not a moment we passed through an open area as the trail runs entirely on a beautiful dense tropical forest with several river (or riverbed) crossings which by that time were very dry. Climate did not become a hindrance as well, it was cool enough and I really like it. Steepness of the trail wasn't that difficult either. It was however lengthy and quite obstructed in the latter part. Fallen trees and branches were great obstructions that required us to go either over or under in some parts of the trail. we passed by a waterfalls, Buslugan Waterfalls, just a few minutes from the main trail. The cascade wasn't so strong though when we visited. 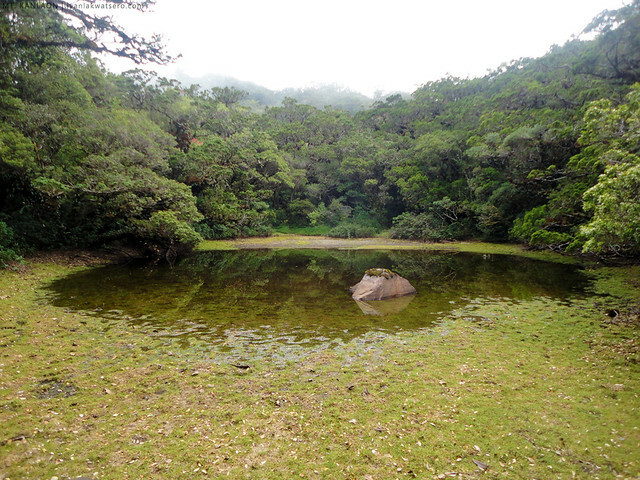 As far as I can remember, this was the only watersource during our trek. 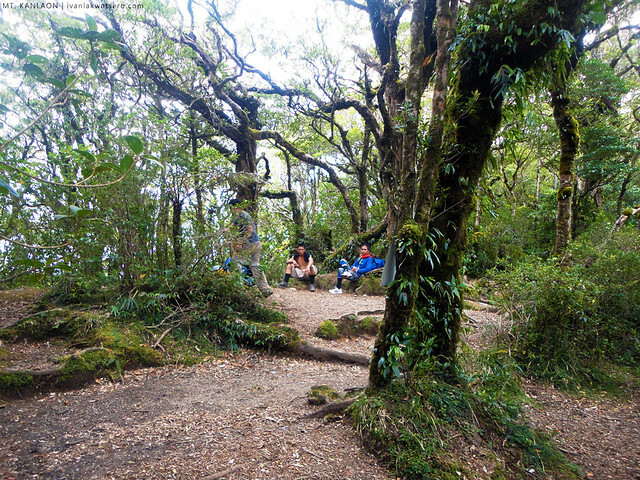 The mountain is protected by DENR, trail is very well established. Hindi ko maalala na may nadaanan kaming confusing part. Overall, it was challenging but not so much. If I were to rate the difficulty of Guintubdan trail from 1 to 10 and 10 being the most difficult, I would give it a 5. It was around 11:45 AM when our group had our first long break in a small campsite. There, we ate lunch. I enjoyed our 7 hour hike on the length of Guintubdan trail. I did not feel troubled at all, thanks to the cool climate. Also, I was so inspired by Kuya Gudo, our porter. Throughout the trek, he walked at an unwavering pace, he moves constantly without stopping, ang galing to think na may mabigat siyang dala! 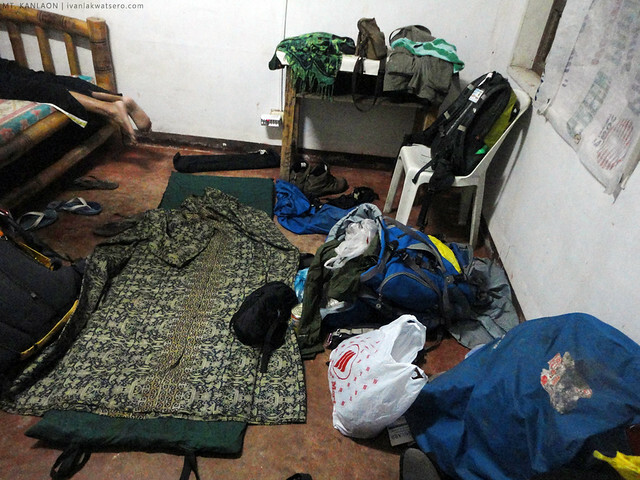 When we finally reached Pagatpat campsite at around 01:50 PM, we were so relieved, knowing that the day's trek was finally over. whew. 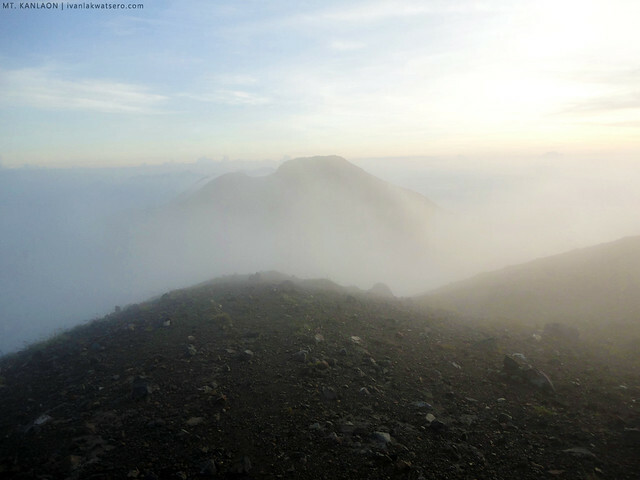 Since it was still a little too early to settle in our camp, just 02:30 PM, we attempted to assault the crater summit and see it during the setting sun. But when we're about to head up to the crater summit, there's a sudden burst of light rain, then thick cloud shrouded the summit area. "Alright then, save the summit assault for the next morning," we told ourselves. Still too early to settle in our camp, I decided to join our guides down Margaja Valley to get water for our dinner (there's no other water source available nearby aside that from the valley). 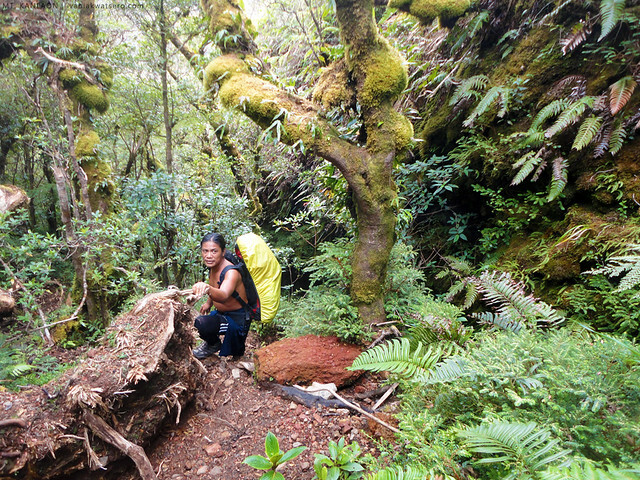 From Pagatpat Campsite, we descended on the trail that lies somewhere not too far. the beautiful soccer field-like Margaja Valley as seen from the trail. 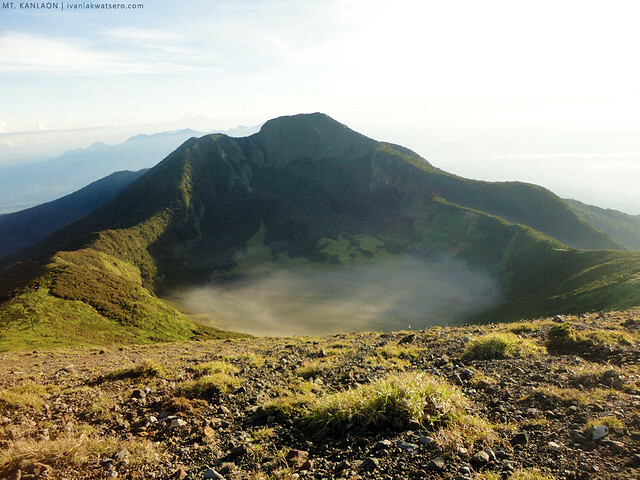 It is the old crater of Mt. Kanlaon. In just 10 minutes, we arrived at the base of Margaja Valley. It was so amazingly wide, parang magkakasya ang sampung Araneta Colosseum. so while our guides were fetching water, I ran in the middle of the uber wide terrain and tried to capture its beauty. 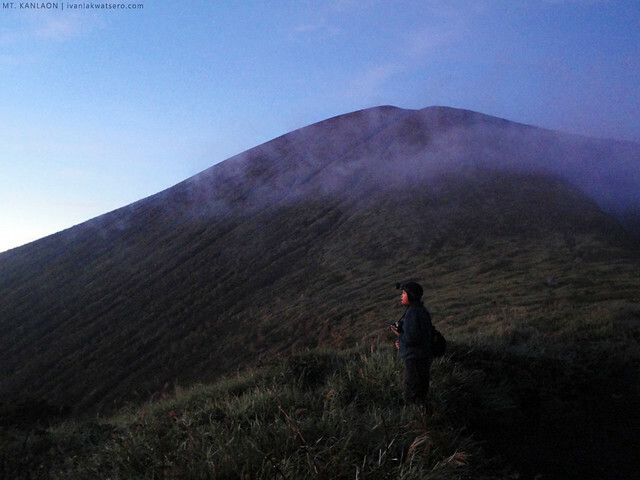 Before we trekked back to our camp, the sky cleared up revealing the beauty of the summit of Mt. Kanlaon. I saw from below, in Margaja Valley, the differing layers of terrain that covers the summit area. It's a pleasant view, very volcanic in nature. Look at the layers of terrain covering the summit area. 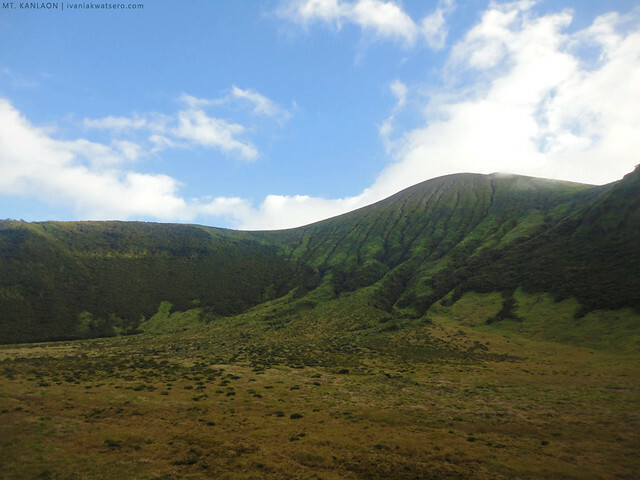 From deep green it transforms to rocky grey the closer it gets to the summit crater, like a true volcano. sun set light at Pagatpat Campsite. beautiful. As soon as the sun went down, we started preparing our pork sinigang for dinner. yum yum! We had a great time trekking on our first day in Mt. Kanlaon. 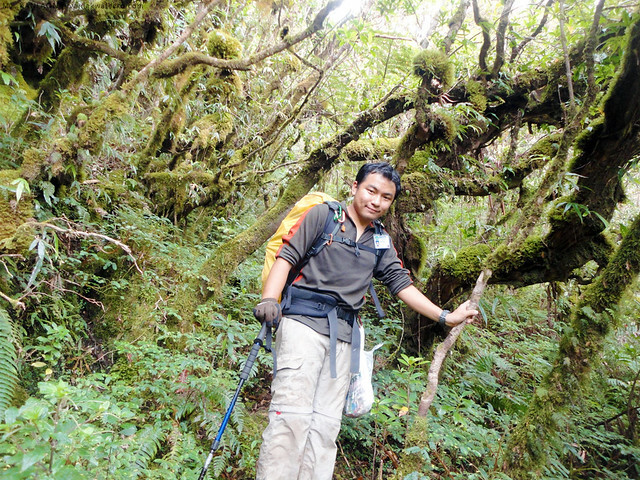 Although we did not encounter too much action in the first day, we still enjoyed our trek really very much. Can't wait for the next day! hurrah. The next day, we woke up very early to finally feed our eyes with views that are awesomely good, picture perfect they say, at the summit of Mt. Kanlaon. I really can't wait anymore. 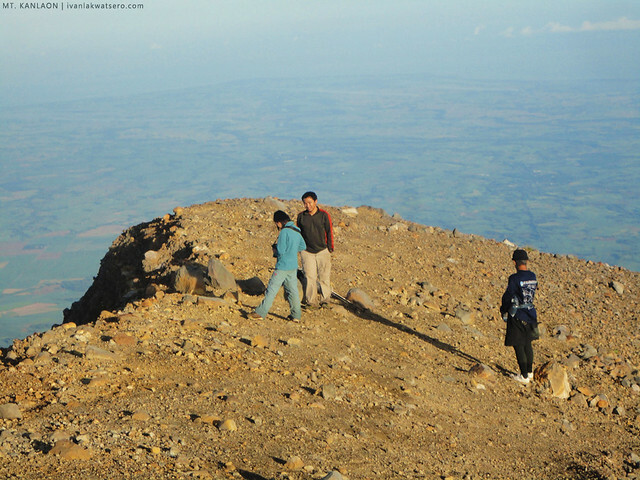 Leaving all our things at the campsite, makes our trek to the summit fast and easy. The assault was not that overwhelming, in fact, I would say it was generally easy all the way. Although there was a thin layer of fog embracing the whole summit area, I'm still very confident that we'll have a very good clearing once we reached get there. 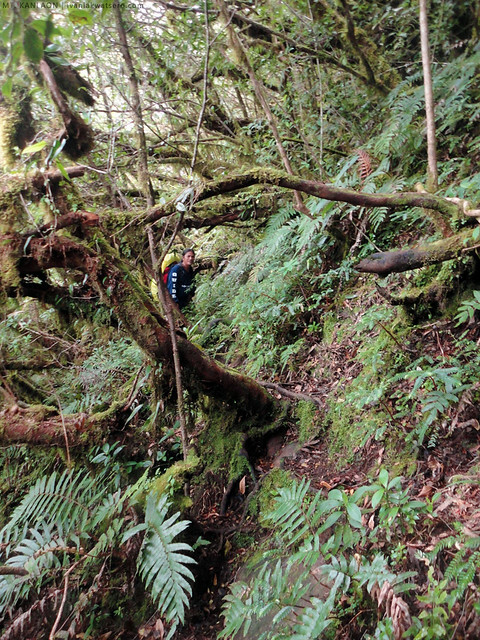 The verdant flora which covers the trail to the summit was also amusing. Slowly, you will notice how it degrades from thick greens to unusual colors (red or orange) until finally they will be gone. Vegetation gets thinner as we go closer to the crater, no doubt we're hiking a volcano. Pagatpat Ridge visible from the trail. clouded Margaja Valley at the backdrop. clouds trapped in Margaja Valley, the old crater of Mt. Kanlaon. almost at the summit still too foggy. 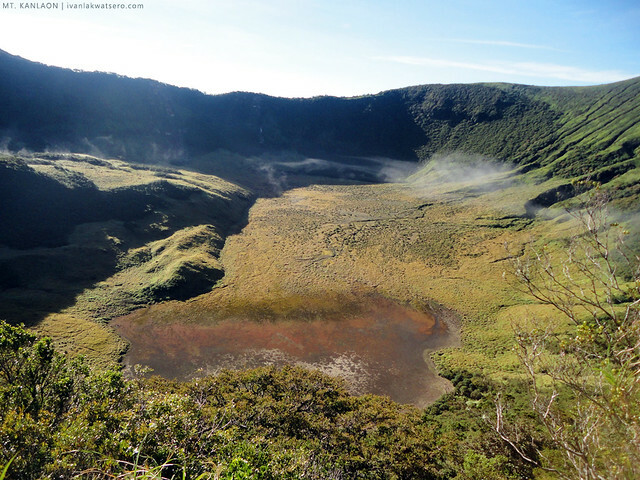 My eye almost popped out and my jaw nearly dropped the moment I reached the summit area and saw the wonderful volcanic crater. Oh men, Mt. 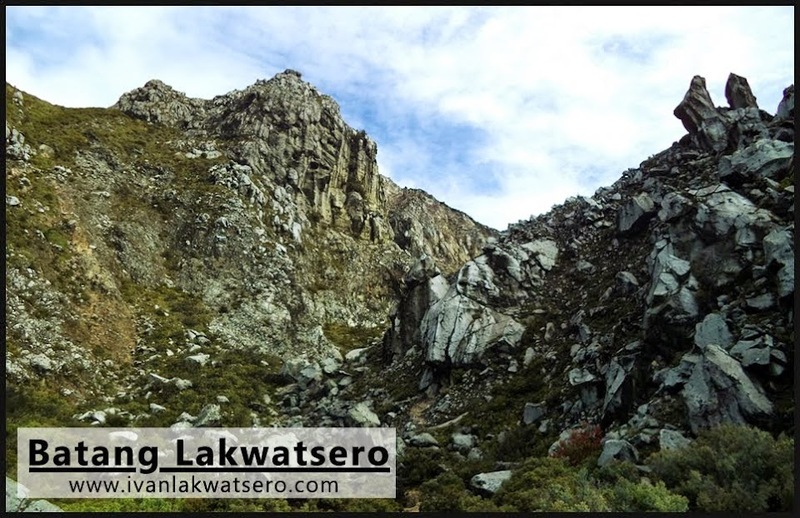 Kanlaon is indeed a geological wonder. 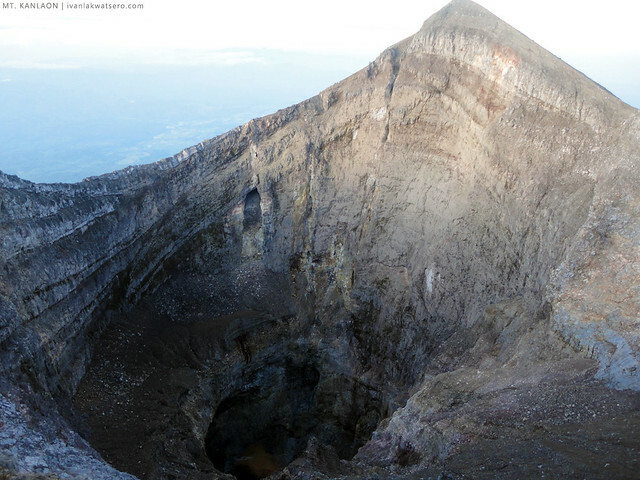 crater of Mt. Kanlaon, surreal! For a minute or so, I was speechless. I fell in great silence but inside my head I was shouting "wow". According to our guide, before the 1996 eruption of the volcano, the wide rocky crater was non existent. There was just a small opening in the area before the sudden explosion. Three were instantly killed in that incident. From the top, the views were truly spectacular. Nearby mountains in the north to as far as Mt. Talinis in the south were all visible from the summit. Nearby Visayan islands were also seen from above, there were the islands of Cebu, Guimaras and Panay. But for me, the most amazing view from the summit was the view Margaja Valley. 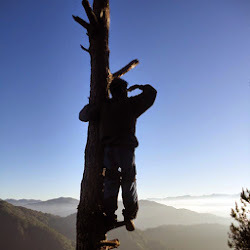 Sabi ng guide namin, may malaki raw na crack sa ilalim niyan, kaya bawal ang malikot sa summit area. Margaja Valley again, seen from the summit. It was my most favorite sight at the summit. By 06:45 AM, we began descending the mountain as the sun started to shed heat. It was a quick 10-minute descent. 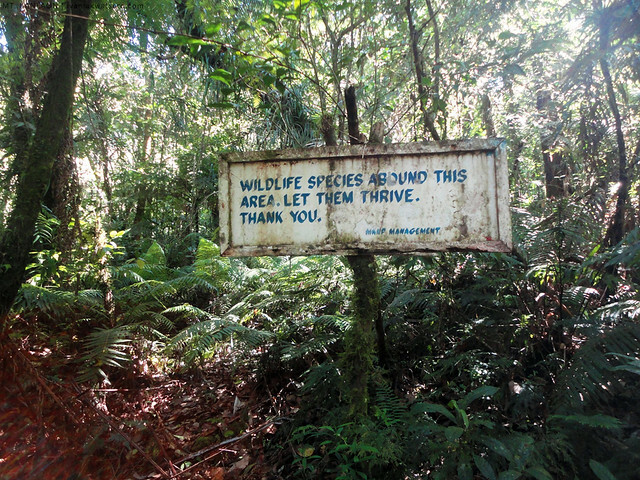 Nag-eenjoy talaga akong tumakbo sa mge descending trails, mahirap pigilan yung mag-bulusok pababa pero sobrang saya. Margaja Valley finally cleared up at around 7 AM. Visible from Pagatpat ridge. At 07:20 in the morning, we're back at our camp. We probably just had a quick breakfast, unpitched the tents and then packed up our things very swiftly, we did that all in just an hour and 15 minutes. After that, we continued our trek via the very long and ragged but really beautiful Wasay Trail. 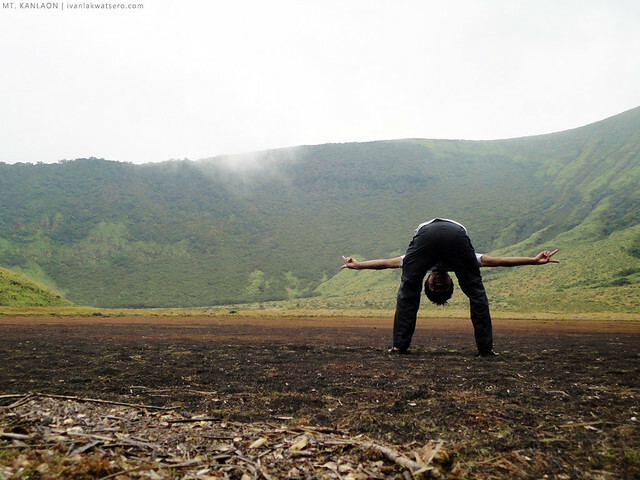 bidding goodbye with the crater summit as we continue towards Wasay Trail. Descending Wasay Trail, the longest of all the trails of Mt. Kanlaon, could in fact take really very long. A day is not enough to cover its whole length (that's why our descent took two days in total). But that's just ok for what we've experienced in this lengthy mountain trail were pure awesomeness. 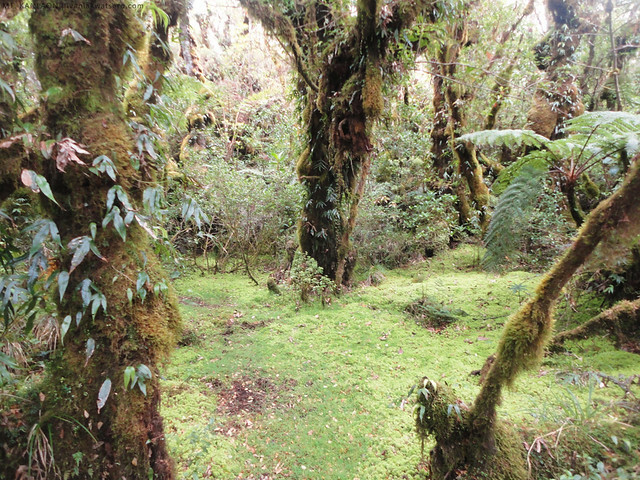 Throughout the trail, green moss covers almost every surface and it gets more intense as we go deeper into the forest. 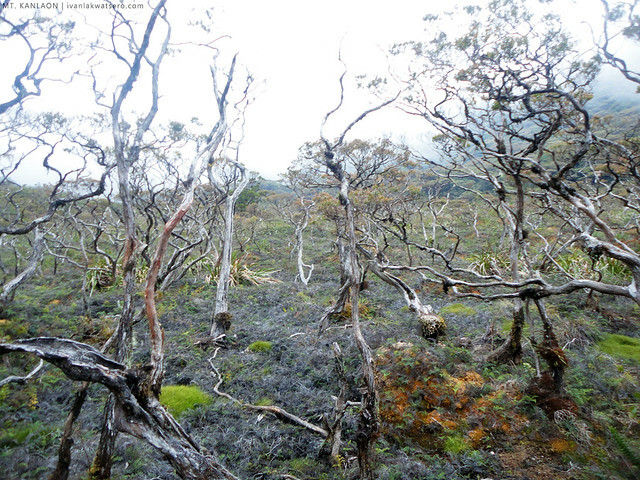 In no more than an hour of trek from the time we left Pagatpat Campsite, intense mossy forest dominated the scene. 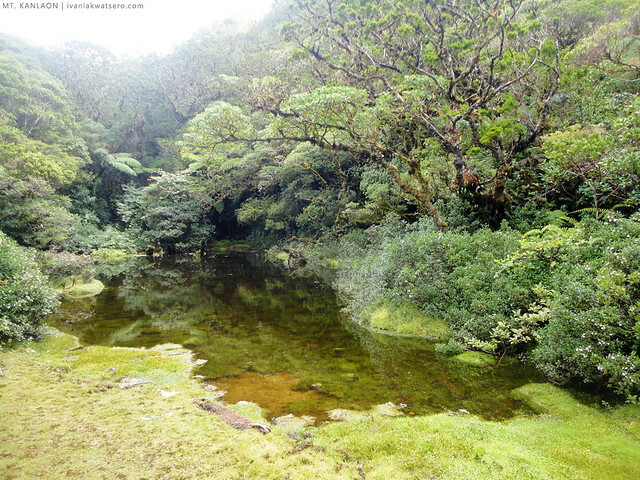 We also passed by at least 3 lagoons during the trek. There's PMS Lagoon, where we had our first break; followed by SAMOC Lagoon which is also nice, a not too large water basin. 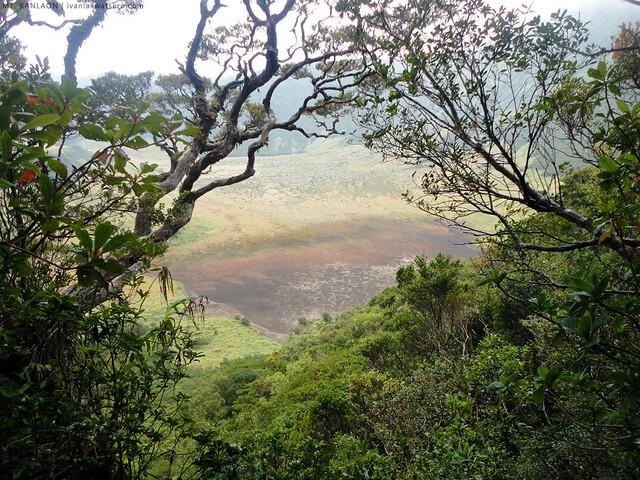 The third lagoon, RMS Lagoon, was obscured by thick layers of fog so we were not able to see it with our own eyes. Wasay trail runs on a series of ups and downs. 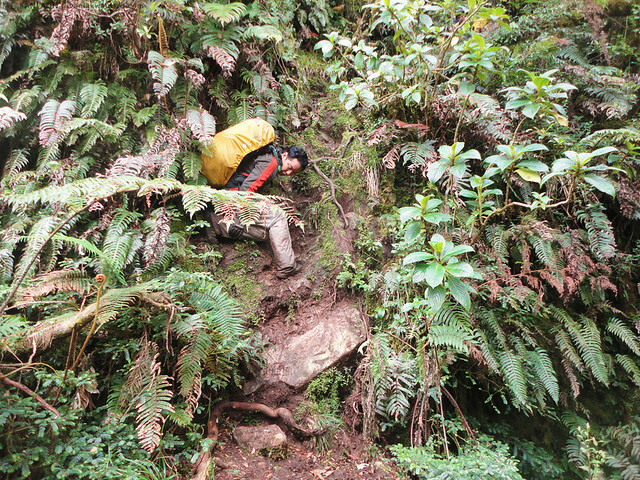 Some parts were very steep, but most of the times its just gradual. 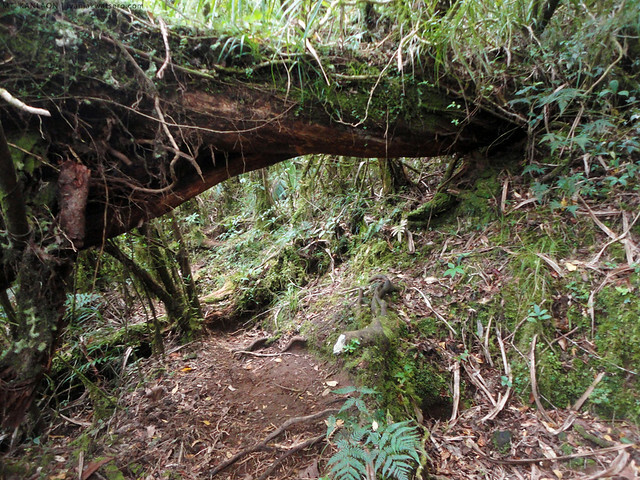 The overgrown trail did not make our trek very easy, we were constantly dodging the large branches that block our way, wherein some parts, we had to go over or under these obstructions. 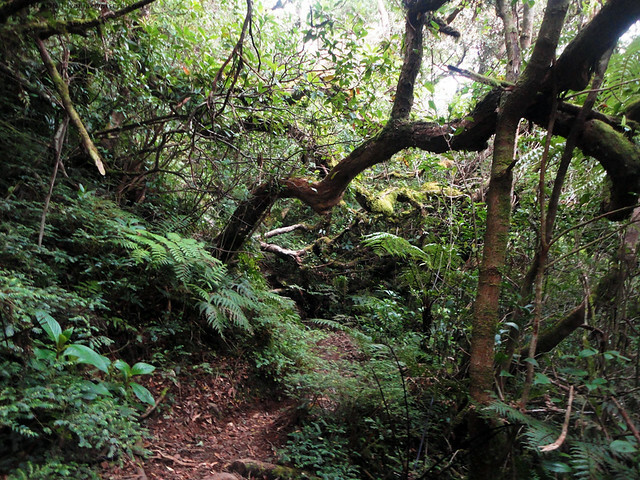 There's also a part where we had to trek on a cliff side and would just cling on branches growing from the sides, our guides call that part Monkey Trail. 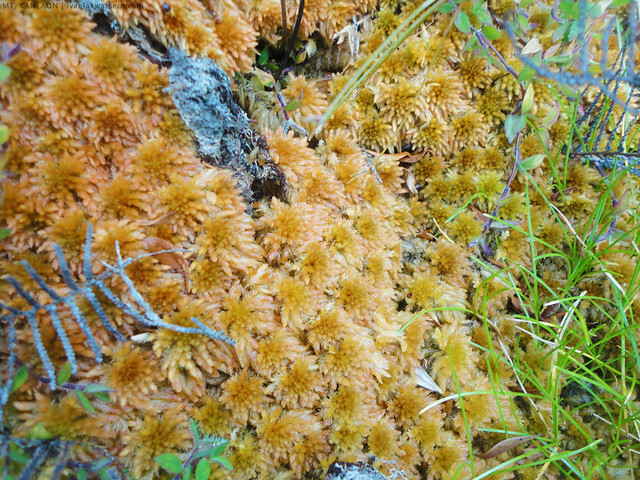 Another pleasant thing that makes Wasay trail really remarkable were the interesting plants we met along the way. 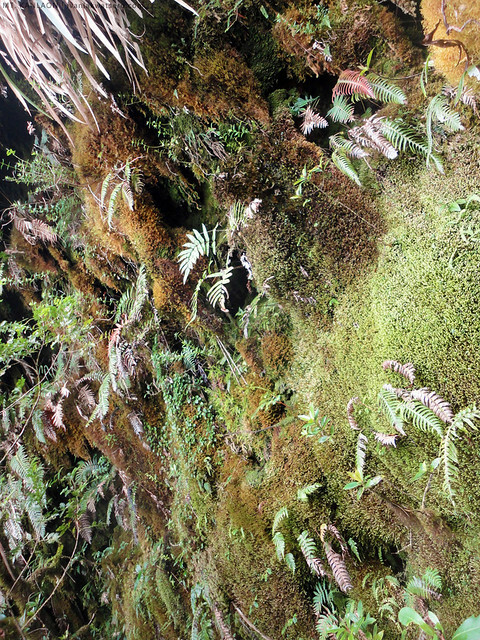 There's a swampy area filled with stunted plants and covered with vibrant moss, locals call it Hardin. Getting there is quite a challenge though for it is really muddy, and it is about 10 minutes off the main trail. the trees looked so dwarf in Hardin. 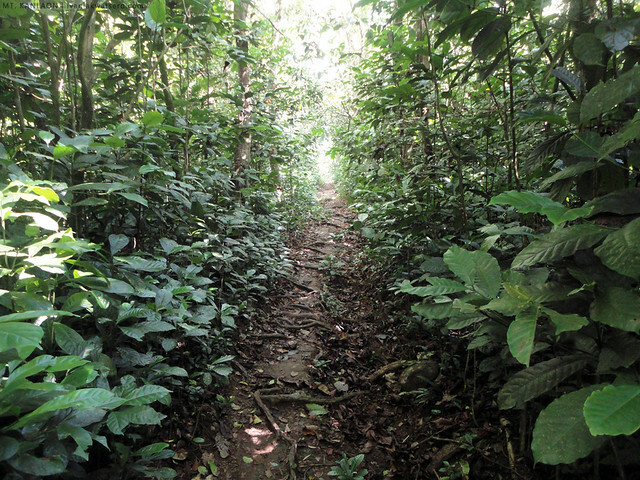 From Hardin, we ran the long continuous descending trail that was full of hurdles and obstacles. It took another 2 hours until we reached another biological wonder. There is a trees of titanic size—it was so big that if you pose beside it, you will appear dwarf. 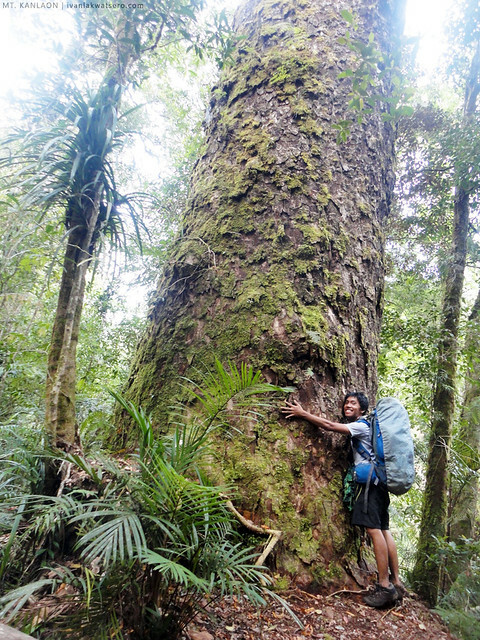 humongous tree along the trail. 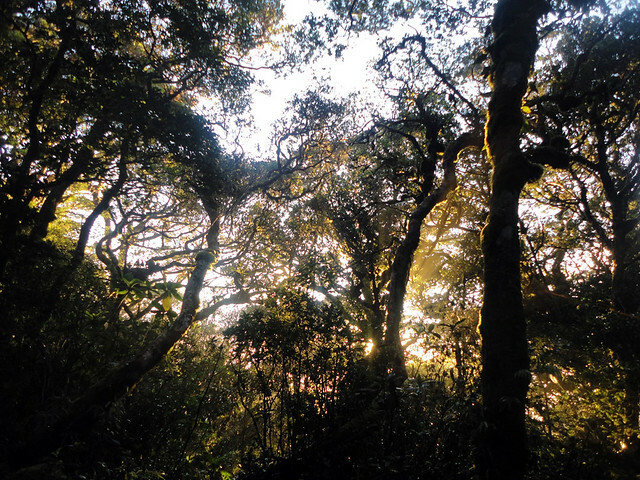 Although its length, as well as the elements that make up this trail, has proven itself to be really very challenging, beyond doubt, Wasay Trail was too gorgeous, ecologically rich, and full of natural marvels. I fell in love with it. Actually, it greatly exceeded my expectations to the point that it is now one of my most favorite trails. By 04:45 PM, after trekking a total of 7 hours from Pagatpat Campsite up to the base camp where we will be spending our second night, the day's trek was finally over. We quickly set up our camp, dipped ourselves in the refreshing stream nearby, and hastily prepared dinner. Before we ended the day, we had a good socials, thanks to our guides for making the night really funny with their jokes. Our 3rd day was very long and tiring. As soon as we retreated in the comfort of our tents, harmony of snores filled the silent night. We're down to our last day in Mt. Kanlaon. Parang kelan lang umaakyat pa kami, at ngayon pababa na. Time flew so fast. Our last day in Mt. Kanlaon happened so fast and was quite uneventful, and was really easy might I add. We just descended the mountain using the continuous, very well established and straight forward trail. Perhaps the only interesting thing that happened during our descent was the band of military men which we came across. They scrutinized our group, asking for all our permits. It took several minutes before they let us pass, but that's just ok for we know they were just doing their job. somewhere in the middle of the trail, there's a concrete road. Dito namin nakasalubong yung mga militar. 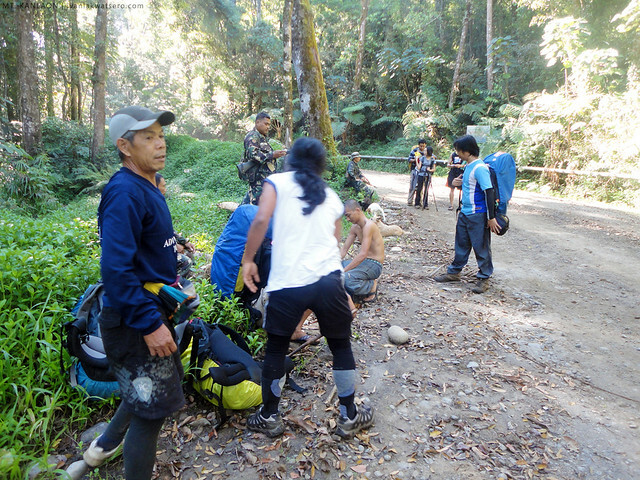 All in all, our trek lasted only for about 2 hours, because by 09:20 AM, we're already at Wasay Ranger Station. 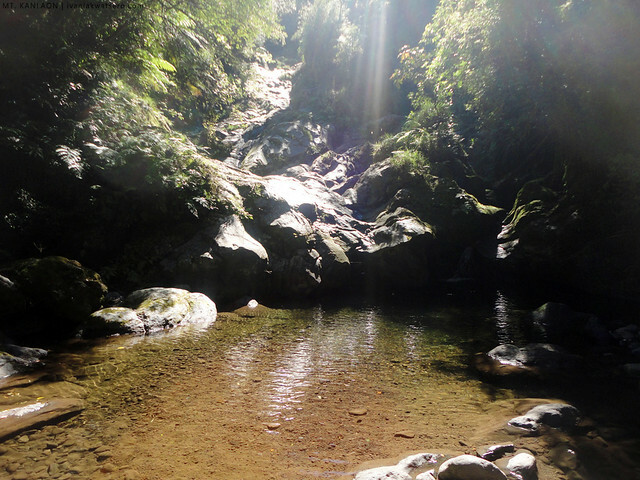 After the hike, we went straight to Mambukal Resort to pamper ourselves—continue reading here. Mt. 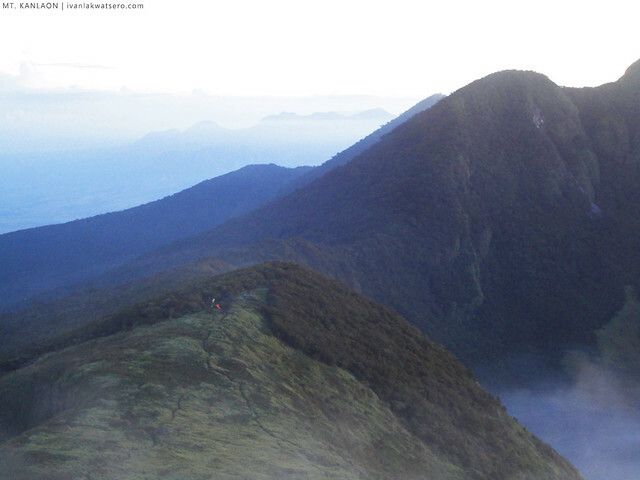 Kanlaon Traverse via Guintubdan-Wasay trail ranks 2nd (just after Talomo-Apo Mega traverse) in my top favorite mountain adventures. The grandeur of this mountain is overwhelmingly beautiful, truly remarkable. 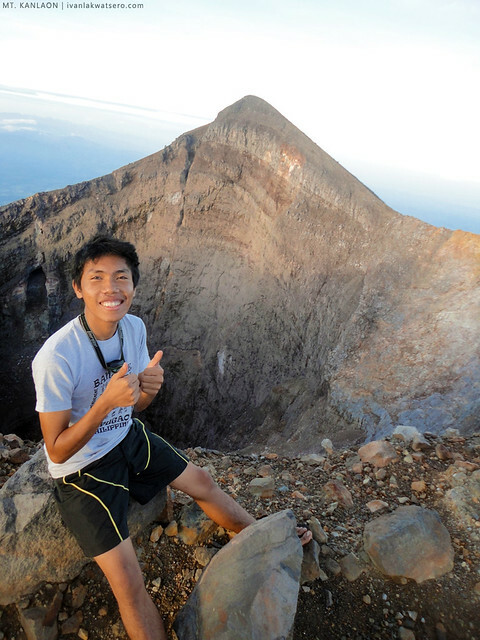 If there is one mountain that I would recommend to every mountaineer, it is Mt. Kanlaon. 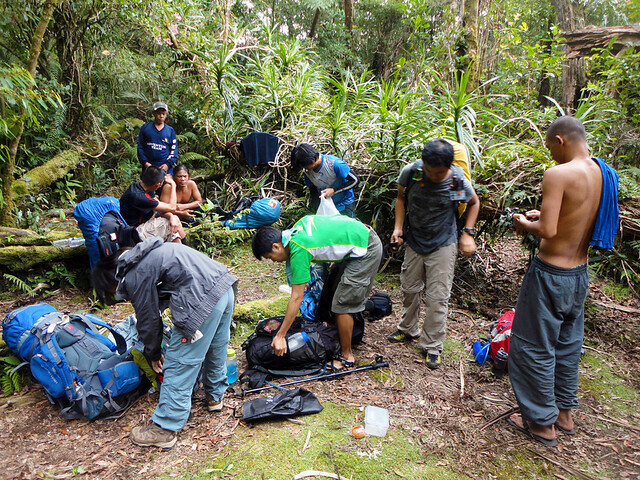 I thank my Tramping Philippines friends, Dane and Agnes, Ron, Bryan and Jam, as well as our guides, Kuya Ronald, Kuya Rutchel and Kuya Gudo, for being part of this unforgettable hike. pag bumalik kami late next year or 2015 sama ka na! hehe. A beautiful hike. Thanks for this. I wish to go to Kanlaon someday. 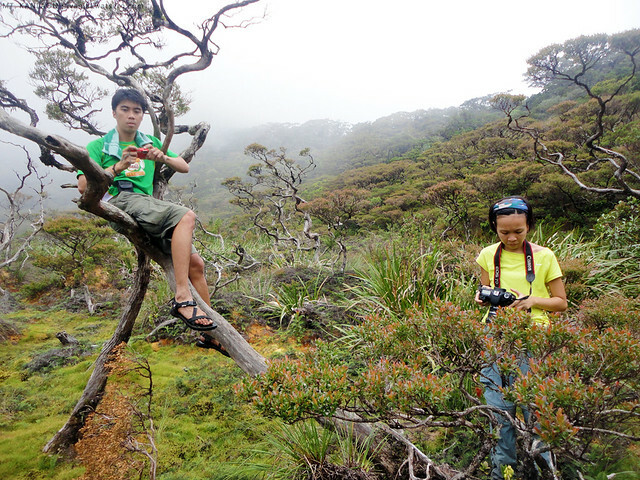 Magkano ang fee together with a guide kung mag hike sa mt. kanlaon? Hi were planning to climb also at mt. 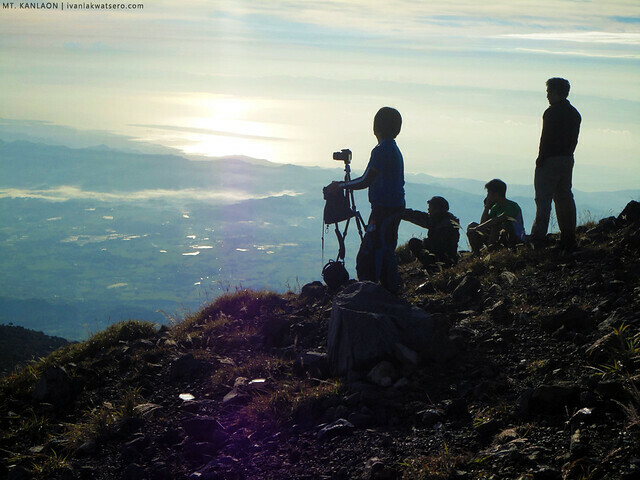 kanlaon can we have a contact from the area also for our permit and guide. thanks! 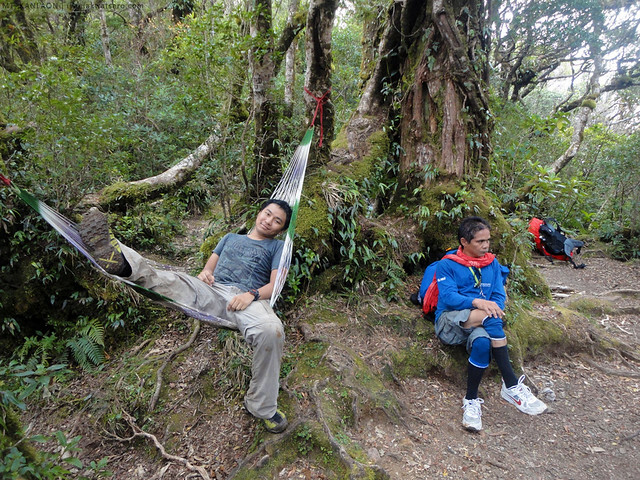 Naexcite naman ako lalo sa climb namin dito next week :), nice post Ivan! hi i am really interesting of the hike canlaon i am manager of orphanage in dumaguete city and i am planing to bring some of my children there from 11 years old up to 15 do you thimk it is ok? in july is good period? how many nights i need to stay to climb the vulcan? Ivan very great pics man. It seems like nandun na rin kami from all your stories and pics. Very inspiring. Long live! We Dont the get any reply from comments that we need answers.. Can somebody help us out about contacts and fees info? Great captures! It excites me to climb the majestic Mt. 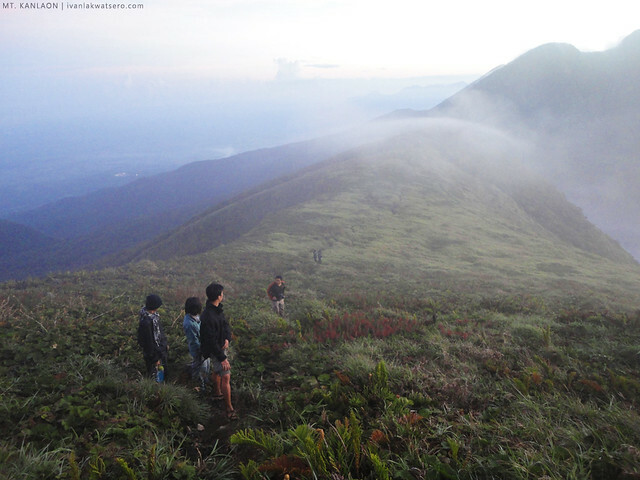 Kanlaon... Join us as we conquer the "Home Mountain", check https://outdoorislife.com/event/mount-kanlaon-awesam-adventures-march-2018/ for a once in a lifetime mountaineering experience..